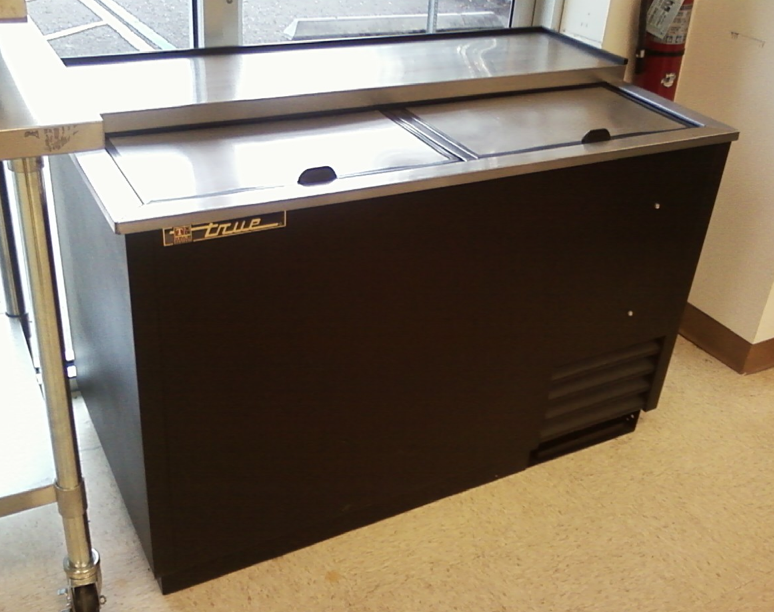 In the market for some used or new commercial back bar or under counter refrigeration? Even if you’re not please keep reading – it means a lot to me. One Fat Frog Restaurant Equipment has several items perfect for back bar or under counter in a bar or restaurant. Check out that beautiful True bottle cooler in the picture above. That item is in our Sanford location and at our Orlando location, we have plenty of used and new bar equipment as well. For your reading pleasure, here are some interesting tidbits of information concerning under counter and back bar refrigeration items. Under counter and back bar refrigeration units tend to be very similar with respect to features and functions. One of the more significant differences is hat back bar units tend to be taller and have interior lighting for display and presentation of drink products. Despite their misleading name, reach-in back bar coolers are often used in the underbar part of the bar. They do not have to be on the back wall as the name suggests. Now that you have some more knowledge on the wonders of under counter and back bar refrigeration, come into One Fat Frog Restaurant Equipment and check out our selection of used and new under counter and back bar refrigeration. One Fat Frog Restaurant Equipment welcomes quick cash and package deals for the entire stock of commercial restaurant equipment. One Fat Frog Restaurant Equipment can also get you financed for all of the commercial restaurant equipment you need – including under counter and back bar commercial equipment. Come into One Fat Frog Restaurant Equipment today!